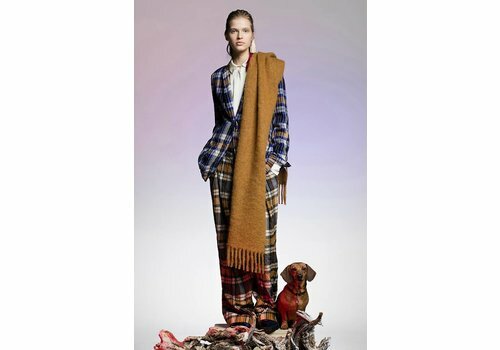 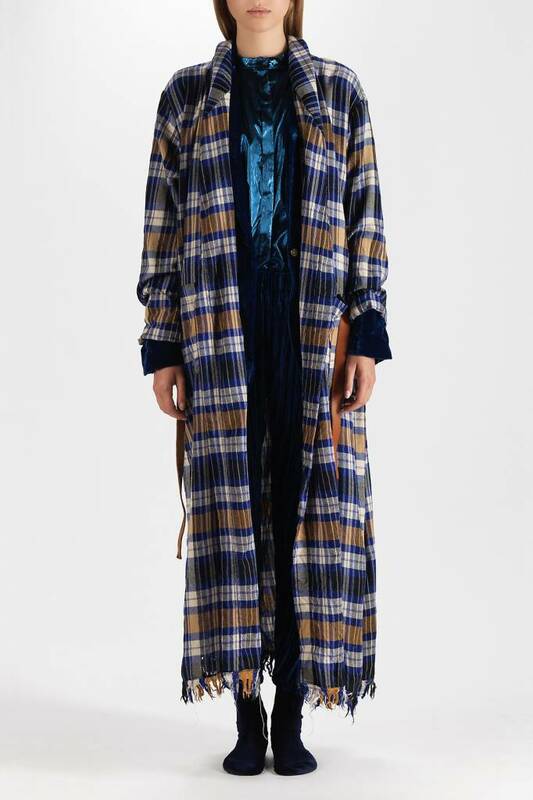 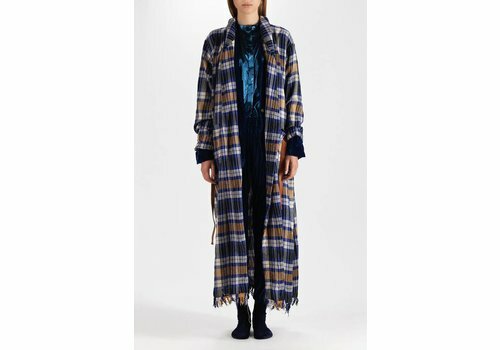 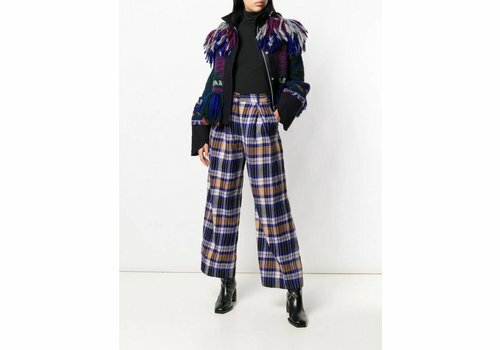 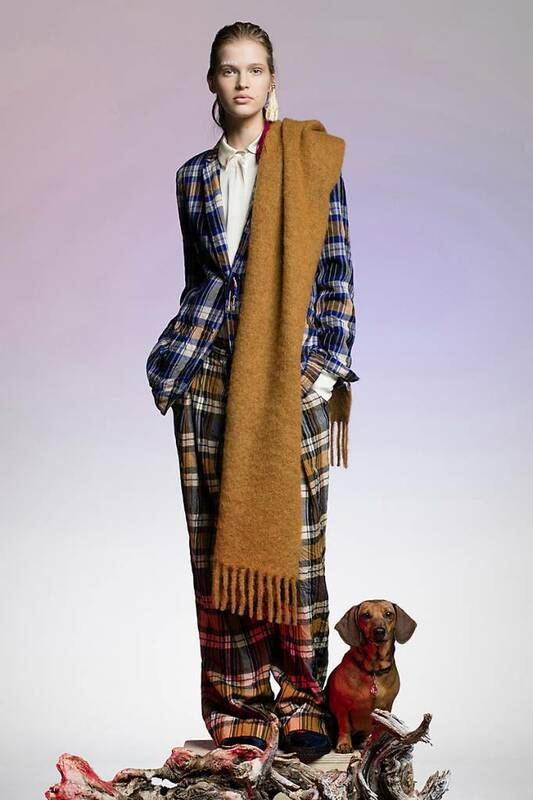 The wide fit wool Tartan Trousers from forte_forte feature a crinkle effect, zip and button fastening, front pleats, loops at the waist, french side pockets and patch pocket on left-hand side at the back. 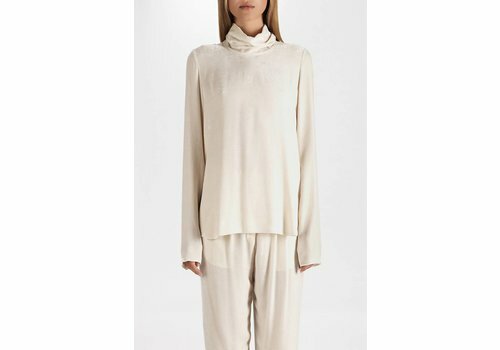 Velvet turtleneck sweater top with concealed zip fastening on the back side splits in Naturale. 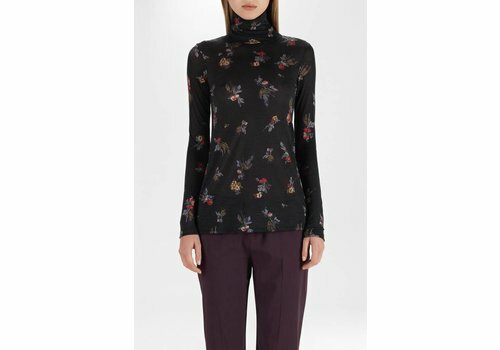 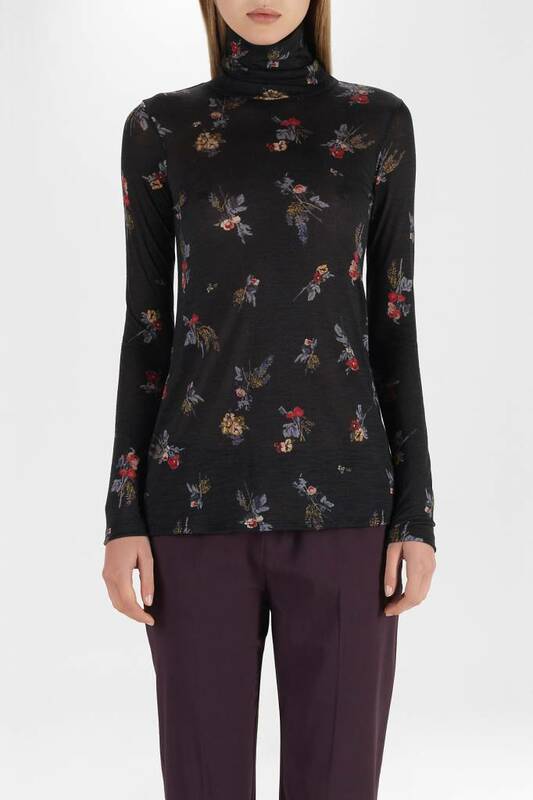 The Forte Forte Highlands Flowers Turtleneck is a slim fit wool and jersey turtleneck with highlands flower print. 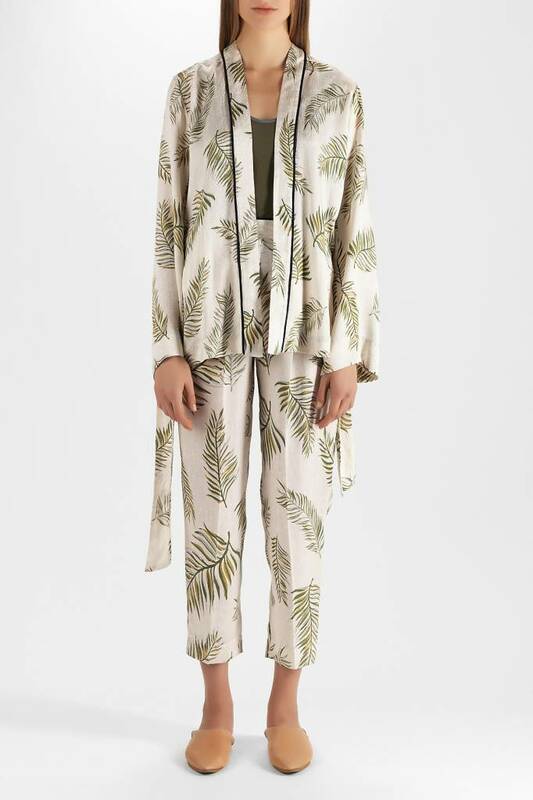 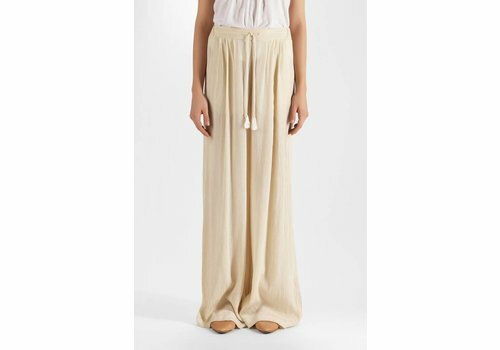 These comfortable high waisted flowing silk trousers from forte_forte come with side pockets, rear welt pockets, elasticated back, front pleates and contrasting piping at the waist. 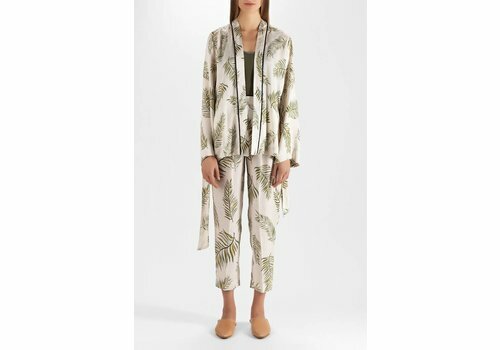 This elegant silk satin jacket in avorio desert leaf print features contrasting trims and a removable belt with loops for versatile styling. 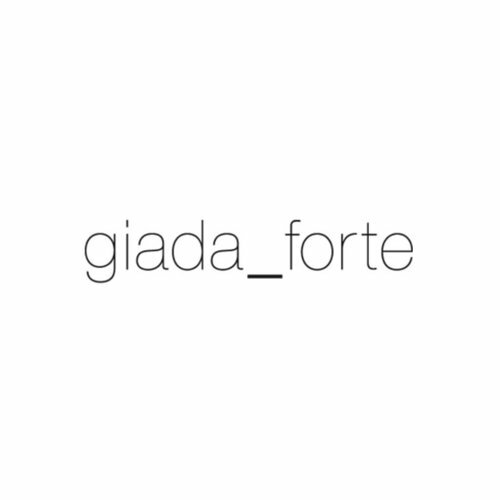 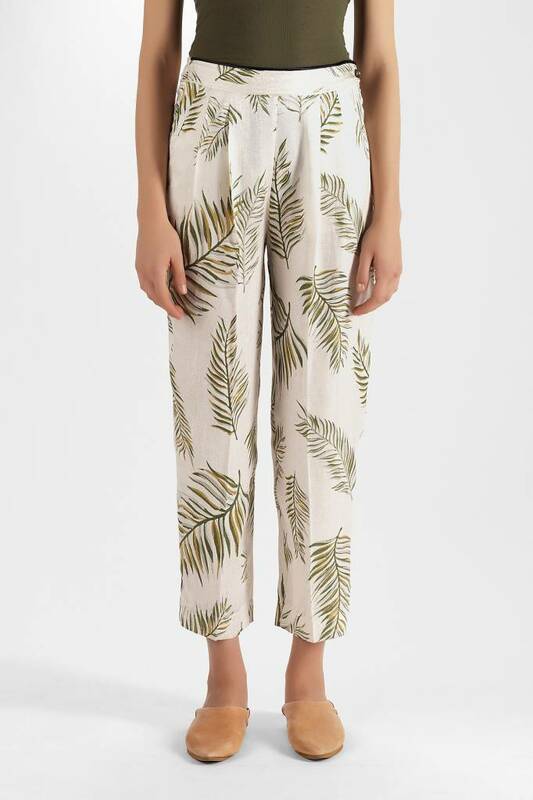 Style with the Forte Forte Leafprint High Waisted Pant or your favorite jeans for an everyday look. 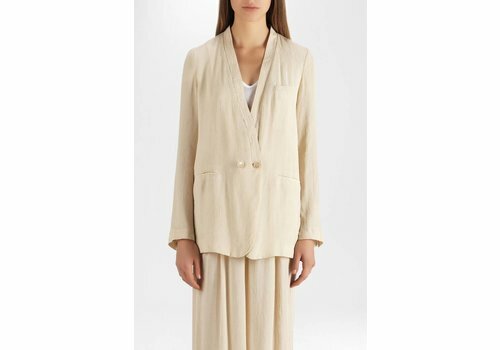 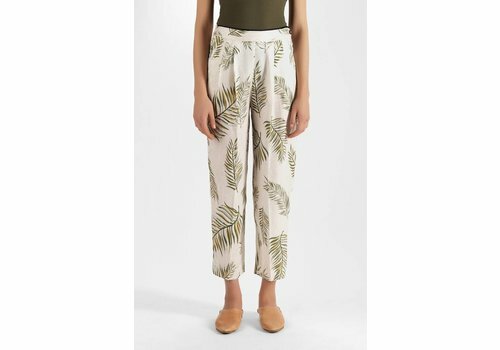 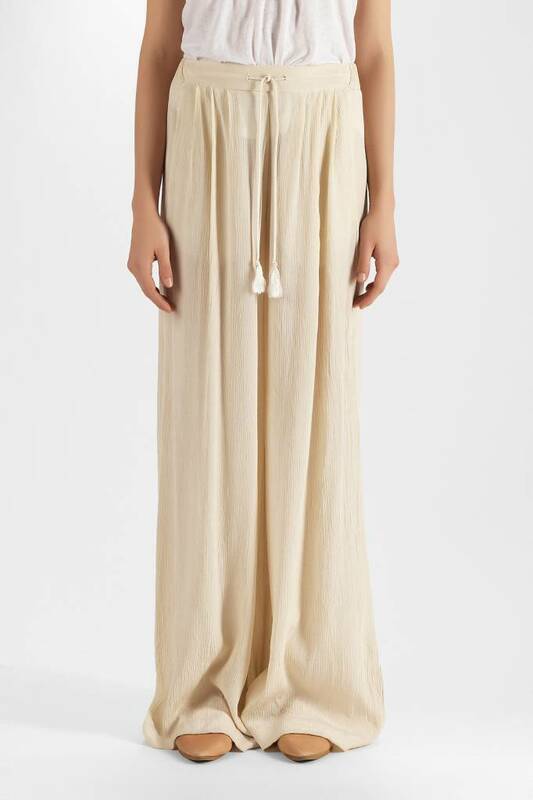 These relaxed, wide-fitting trousers from Forte Forte in viscose crepon feature a drawstring waist with tassels, elastic at the back and side pockets.